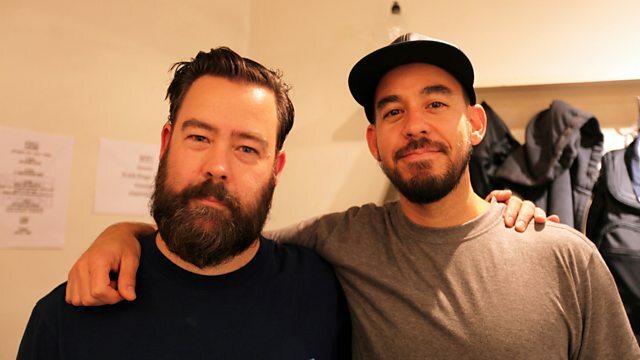 Dan catches up with Mike Shinoda on the fifteenth anniversary of the release of Linkin Park's seminal album Hybrid Theory and hears the stories behind some of their biggest hits. That Place Where Pain Lives. Dying Surfer Meets His Maker. Everything That Got Us Here. The Heart Is A Monster. The Children Of The Night. The Dying Things We Live For. Beside The Ones We Love. In At The Deep End Records. Apex Predator - Easy Meat. Girls Living Outside Society's S***. Total Negativity / Nervous Nelly Records. The Earth Is The Sky.